New Year’s Day. January 1st. We’re no statisticians, but we’d hazard a guess that at least 80% of the adult population of the world is suffering from some varying degree of hangover. ** There are numerous ways to help combat the crippling pain that comes with one too many adult beverages the light before, but we’re strong believers in fighting fire with fire – and partying on. We’ve rounded up the best New Year’s Eve parties to cure your ailments. New year, same us. If you’re anything like us you’ve got Dominos on speed dial for days just like these. But this is the first day of 2018 people, let’s get classy! Veto takeaway for the first ever all-you-can-eat pizza night at Salt Meats and Cheese! From 5pm enjoy as much gourmet pizza as you can stomach for just $20 with the purchase of any drink. You can start your diet tomorrow! Wanting to defy your hangover? Look no further than partying at the Defiant Duck ! There’ll be no shortage of chill vibes, great sounds, cool drinks and an epic feast you and all your mates can enjoy. What are you waiting for? 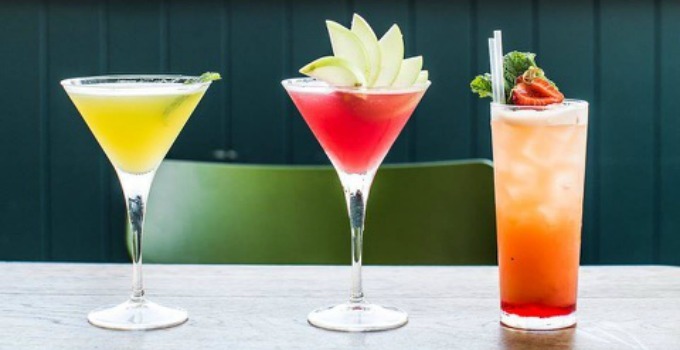 Start your new year’s resolutions tomorrow… or the day after, and enjoy the start to an amazing year with frozen cocktails (hello hair of the duck), resident DJs and hangover busting food. Kick start 2018 with a spicy Bloody Mary in one hand and a fork in the other! Nothing banishes a hangover quite like brunch, and they’re always so much more refreshing alfresco. With brunch and drink specials from 9am, start 2018 with choices ranging from savoury Mt Cotton mushrooms with baba ganoush, dukkah and fried egg or waffles with mango, local strawberries, pistachios and vanilla bean ice-cream. Wash it down with a peach Bellini or Frozé and you’ve got the perfect start to the year. Save your spot and book by calling (07) 3252 0666. Woken up with an appetite that some greasy fast food just won’t fix? Not feeling so stoked that the first day of the year already feels difficult? Let food be your medicine and dive into Stokehouse Q’s long lunch. Sit back and enjoy views of the river to soothe your sore eyes, delicious fare, summer cocktails and DJs to get you back in the party spirit. Bookings are available from 12pm-4.30pm, call today on (07) 3020 0600. New year, new calorie count – right guys? Words by Emma Callaghan the gourmand who can’t stop, won’t stop. **Definitely not statisticians.